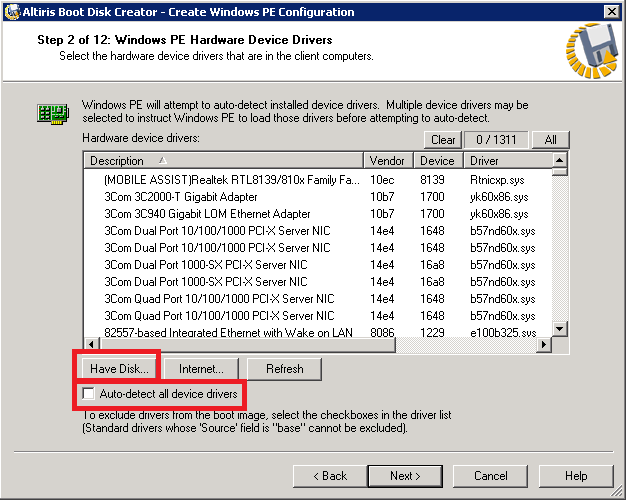 The problem is caused by a missing / wrong driver for the network interface card. Since no message is displayed that a driver is missing, I assume a wrong driver is loaded. Because the wrong driver is loaded the TCP/IP stack isn’t working properly which results in the message seen above. 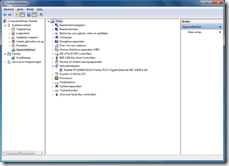 By adding the correct driver to the WinPE driver repository the problem is probably solved. 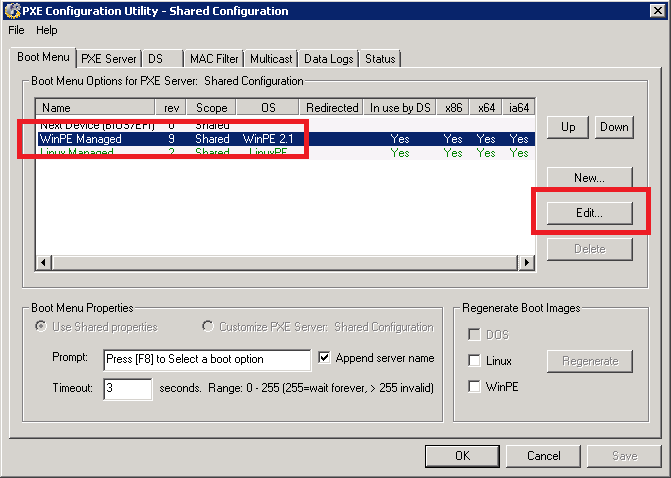 Since the machine is provisioned with a Windows 7 installation out-of-the-box it is easy to determine the NIC installed. In this case a ‘Realtek RTL8168D/8111D-Family PCE-E Gigabit Ethernet NIC’. To determine if the driver is already present in the driver repository of the WinPE image I need the Vendor and Device ID.These are visible in the ‘Details’ tab of the properties of the NIC by selecting ‘Hardware-ID’s’ in the combo box. 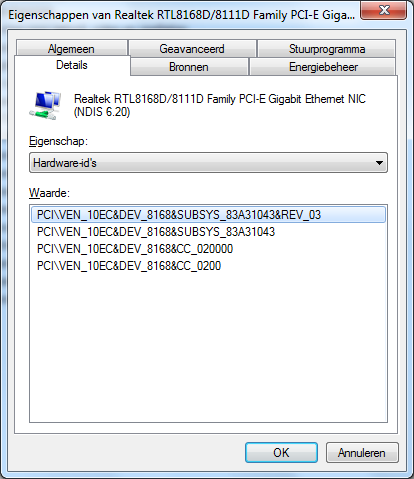 In this case the vendor ID is 10EC (Realtek) and the Device ID is 8168. The device contains the ‘RTL8167’chipset according to the PCI database. 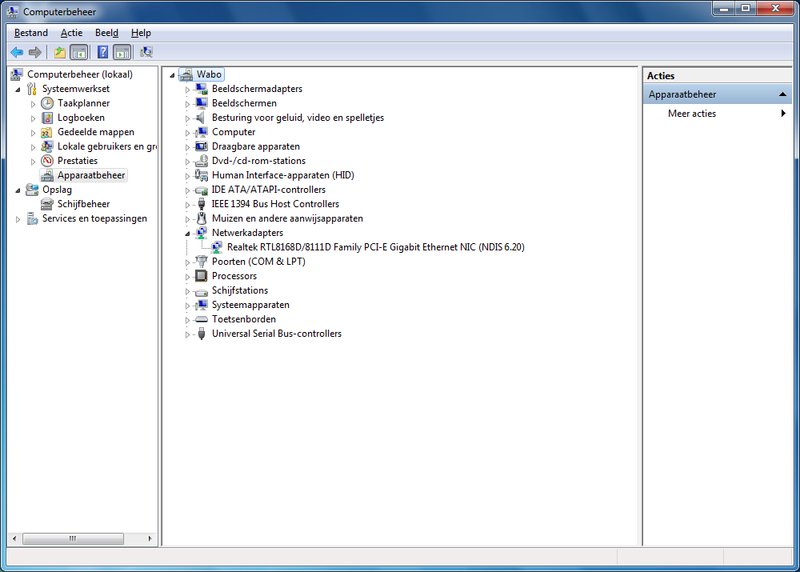 Now we know the NIC (and chipset) we can find a driver for WinPE 2.1. 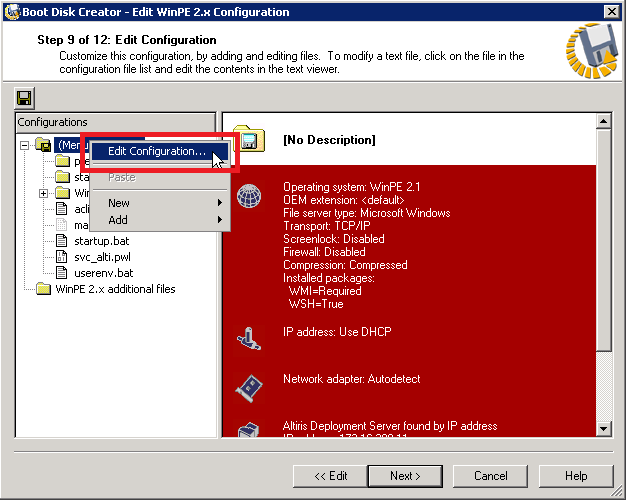 Since WinPE 2.1 is used we’re looking for a Windows Server 2008 / Windows Vista SP1 driver. 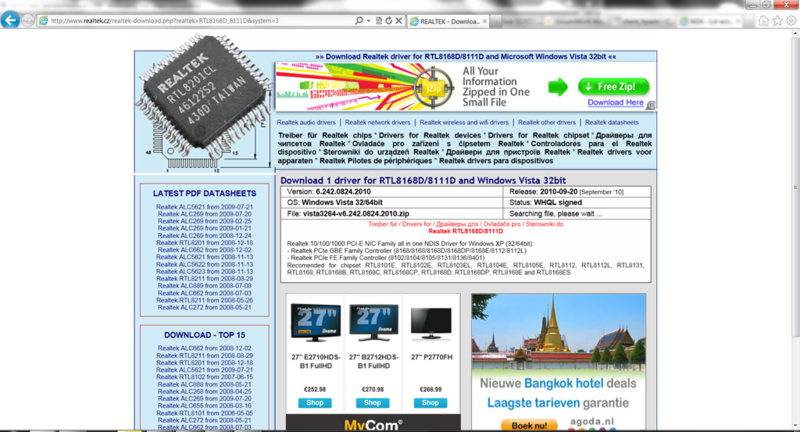 A quick Google search (for Vista drivers) led me to a driver on the Realtek site. 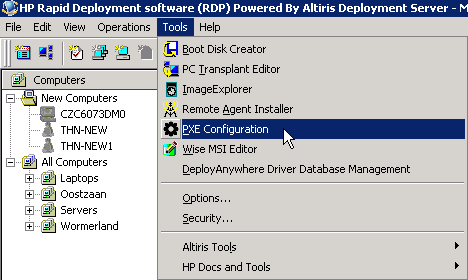 The boot image for Windows PE can be altered from the Altiris Deployment Solutions console via ‘Tools –> PXE Configuration’. 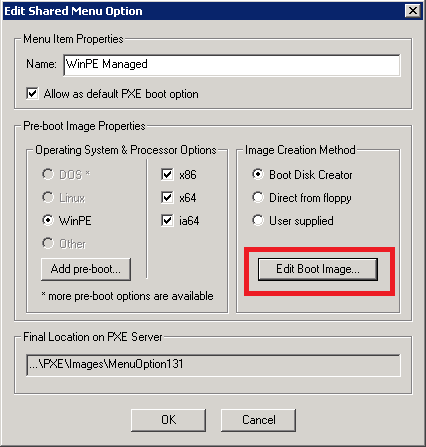 This will open the ‘PXE Configuration Utility’ showing all boot options. 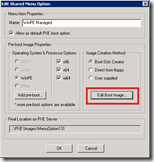 Select the WinPE2.1 boot image and click ‘Edit’. 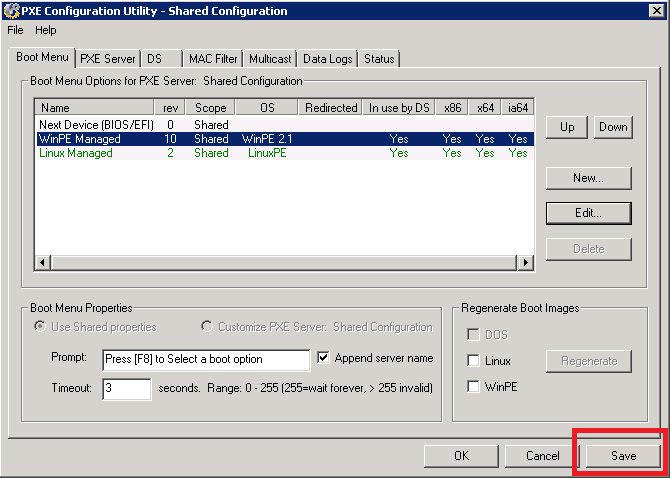 This will open the ‘Edit Shared Configuration’ dialog. 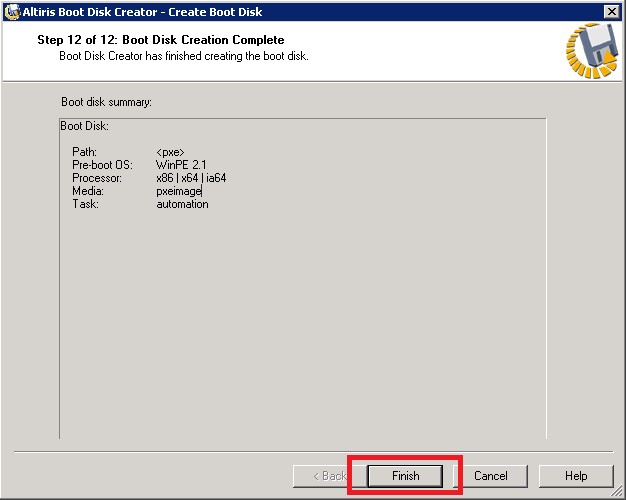 This will open the ‘Boot Disk Creator’ dialog. 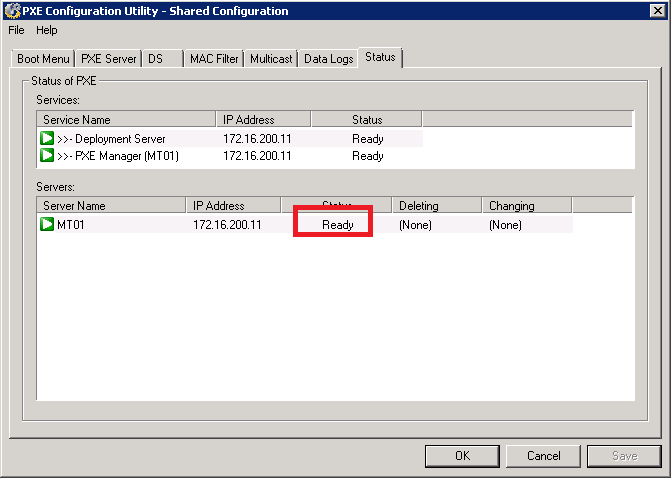 Check if a driver for the device (Vendor ID / Device ID) is already present. In my case it was and I decided to replace it with a new driver. 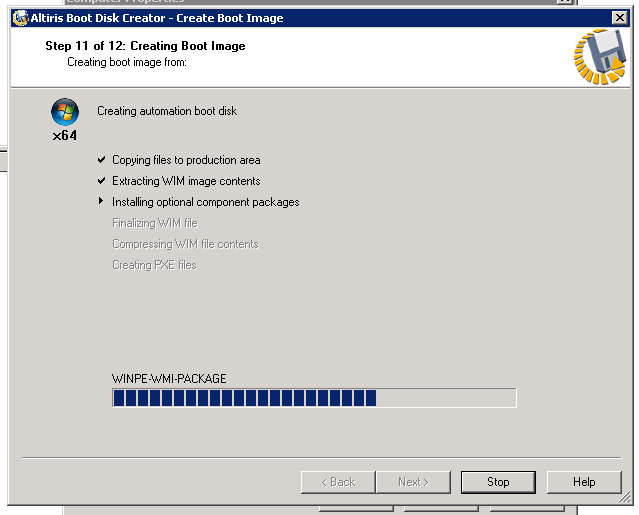 During step 11 the WinPE boot image will be re-created by extracting the WIM images, injecting drivers and scripts, and rebuilding (and optionally compressing) the WIM image. This is done for all selected architectures (X86 / X64 / IA64). 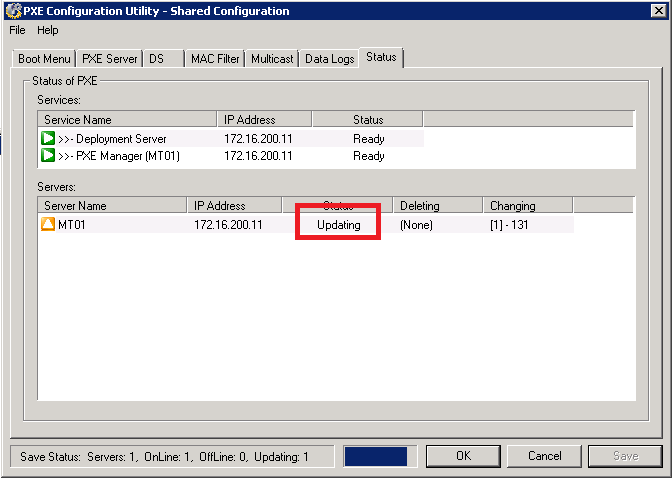 Select the tab ‘Status’ and wait until the status of all PXE servers change from ‘Updating’ to ‘Ready’. And you’re done! Replacing the driver solved the problem, the client got an IP address and continued to perform the task it was given. My “Edit Configuration…” button is gray, but I can press “<< Edit" button next to "Next" button and navigate to the same place, but when I add drivers, the number of drivers in the list, does not increece. 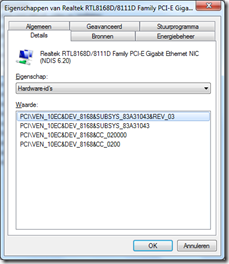 the Intel(R) 82579LM Gigabit Network Connection driver is there, but only E1C6232, not E1C62x64. I try to add those but no luck. What version of Altiris DS are you using? If you can add drivers in the list, how did you get there? Can you send me some screenshots of the steps so I can help you troubleshoot? 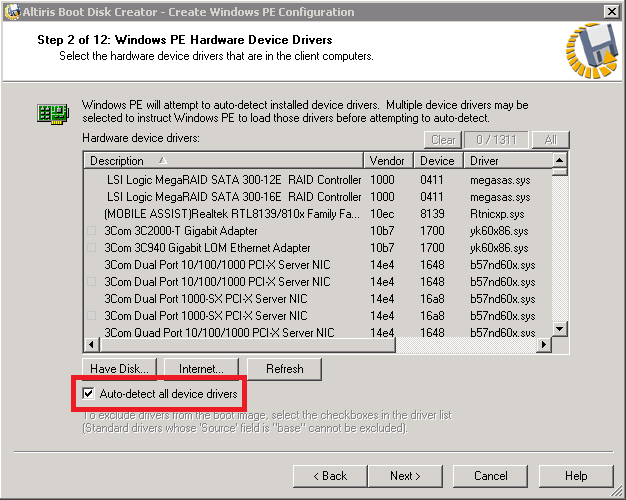 A solution to your problem might be that you should first remove the Intel 82579LM drivers before you add your new drivers, an alternative is that you create to drivers. One for x86 and one for x64.